Ana Maria Martins is Professor at the School of Arts and Humanities at the University of Lisbon. Her research in comparative syntax and historical syntax covers topics such as word order, clitics, negation, emphatic polarity, infinitival structures, and passive and impersonal constructions. She has directed projects resulting in parsed corpora for the study of the syntax of European Portuguese dialects (CORDIAL-SIN) and the syntax of Old Portuguese (WOChWEL). She has published articles in journals such as Lingua, Natural Language and Linguistic Theory, and Linguistic Inquiry, and is the editor of Manual de Linguistica Portuguesa (De Gruyter, 2016) and co-editor of the journal Estudos de Linguistica Galega. 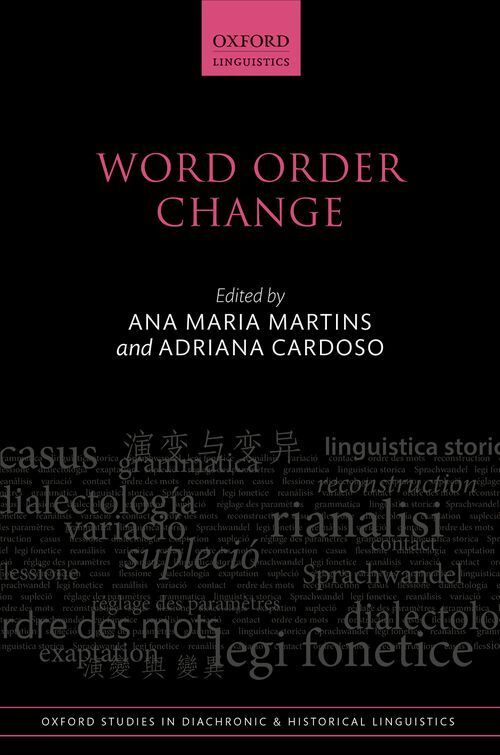 ; Adriana Cardoso is Assistant Professor at the Higher Education College of Lisbon (ESELx) and researcher at the Linguistics Centre of the University of Lisbon (CLUL). Her main research interests are historical linguistics, comparative syntax, and educational linguistics. She was recently involved in the WOChWEL project (Word Order and Word Order Change in Western European Languages), sponsored by the Portuguese National Science Agency. Her book Portuguese Relative Clauses in Synchrony and Diachrony was published in 2017 by OUP.